Finding new ways to solve IT problems faster and with less loss in productivity is a challenge to many IT companies struggling to get an edge on the competition. Technology is always changing and it’s hard to keep up. However, there are certain basic steps you can take to ensure you are affected the least from IT problems and that your systems maintain functionality with minimal downtime. The best step in protecting your company is being proactive in defending your nework and data while staying up to date with the latest technology. This article will discuss some ways to stay on top of your computer network. 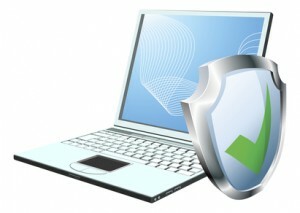 Outdated antivirus software, depending on how outdated, may be nearly as useless as having no virus protection at all. When considering antivirus software, consider both the cost of the software as well as the value of the information you need to protect. If you are managing a complicated and valuable network that could cost your company dearly if compromised or brought down by malicious entities, spending a little extra on strong antivirus software may well be worth it. Ensure that your software is updated regularly and that you stay up to date on the latest attacks taking place. No antivirus software solution is 100% guaranteed to protect your network from every virus or potential compromise out there, but staying knowledgeable and keeping your software up to date will give you the best chance of protecting your network from compromise. Outdated equipment leaves your network vulnerable on many levels. If your systems crash, hackers may take advantage of temporary security holes to compromise your system. Having your system down in and of itself may put your business at a standstill. Time is money and your network needs to stay up as much as possible to avoid losses. Providing solutions such as battery backups and surge protectors will ensure your company is affected the least by power outages and surges. Installing and maintaining working routers and other network devices will minimize the effects of interference on your network and improve network stability. Ensuring cables are properly shielded and not frayed or damaged will also ensure your systems aren’t getting any outside feedback and that network systems don’t crash with the movement of a cord. Ensure your network resources are installed and managed by a team of IT support professionals. Having these IT professionals available following installation is useful as well. Even if installation was done perfectly, being able to contact support in the event of a problem can be a valuable lifeline for your company. Even the best IT systems experience downtime and problems from time to time. Often times these problems are associated with power outages, hackers, and other issues outside the company’s control. Having an IT team standing by can help ensure these issues are minimal. Whether you hire an outside IT team or a team who works directly for your company, ensure they are professionals and knowledgeable in solving a variety of IT problems. Ensure they stay on top of the latest changes and threats involved with network security and they actively implement changes in your network to keep up with new threats or changing security conditions. If you hire an outside IT team, ensure they can be reached at anytime to resolve IT problems that may arise in your company. Being able to reach an IT professional at the time of a crisis can mean the difference between your network being down a few minutes and being down several hours. Additionally, being able to reach IT support during the time of a crisis involving an active hacking threat can ensure minimal loss of information as well as the best preservation of the current state of your network resources. Having to wait hours to reach someone who can help can make or break your company. Information can be highly valuable to a company and having your resources down for several hours can cost you dearly and leave you with losses you may not be able to afford to replace. When choosing an IT team, consider both their education and their experience. Availability is also a huge factor. As mentioned previously, having someone available to resolve your IT issues 24 hours a day is very important to ensure you can resolve problems whenever they arise. Hiring a full time IT representative or representatives that are available anytime can be costly. For this reason, many companies utilizing IT networks hire outside companies to manage their IT resources. The best companies offer a fixed fee price structure which allows companies to know what their costs will be each month and also know that a representative will be available to resolve their issues if there are any network problems. TVG Consulting is happy to assist you with all your IT needs. We offer fixed fee IT management in Los Angeles and the surrounding areas. We provide professional installation of IT equipment and network infrastructure as well as the option of IT support in times of need. Having TVG Consulting setup the IT environment for your company will provide you the peace of mind you need to ensure you can focus on running your company rather than worrying about such problems as a network being down or worrying about having your information be compromised by a hacker. We ensure optimum network stability and information security. Want to learn more? Downloard our free guide and learn how Managed IT Support Services Leverages Your Existing IT Team.